So, first off, what's it like now being a superhero? Haha. It's incredibly awesome but it's also incredibly exhausting at the same time. I'm living a childhood dream. People told me, you know, 'are you ready? it's a lot of work', but you can know it's a lot of work and then you can experience that it's a lot of work. First of all, just being the lead of the show, I'm in virtually every scene and that's just a lot of acting work, a lot of memorisation. And then there's the physical aspect, I have to keep myself in shape, and it's hard to find those hours in the day to get a workout in. And then there's the action aspect, so there's always new fight routines to learn. It's taxing, but when you're doing something that you love and are really proud of, that's what helps pull you through. You mentioned there it being a childhood dream. Were you a big fan of comics growing up, or even a big fan of Black Lightning specifically? I was just really a big fan of superheroes. I didn't read a lot of comics, because I didn't have a whole lot of money, so I got most of my superhero fix from cartoons. For me, it started with Super Friends, and then everything else that I could find. So yeah, I was a huge fan, and that crossed over into being a fan of sci-fi and fantasy. And then once they started this new phase of superhero movies and TV shows, and it became a legitimate genre, it quickly jumped to the top of my wishlist. I was like please, please let me do this before I die. And fortunately, this perfect part came around, because I'm not in my 20s anymore and I couldn't do an origin story, so thankfully they wrote something that fit me. 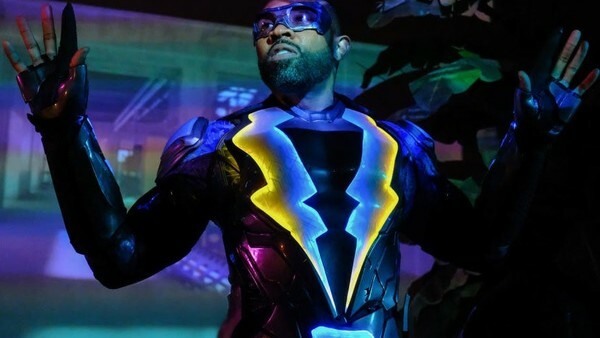 And was it solely the prospect of being a superhero that attracted you to Black Lightning, or was there anything else that stood out about the character? The initial thing was the superhero part. I read that they were writing the story, and I was like great, that checks off my wish list, that'd be awesome. But then I read the script, and everything about it just took it over the top. I loved the fact that the city felt like it was real, like it was a character, and that it had all these real issues. When I read the first episode, and it had that scene where Jefferson is pulled over by the cops, I was on the edge of my seat, and I was filled with emotion as I was reading it. And then also just the aspect of having daughters, and that he's not this perfect human being, he has these flaws and these obstacles to overcome, in the midst of this city that seems lost. All of those things made it so much more than a superhero show. Yeah, definitely. And you talked there about the scene where Jefferson is pulled over by the police, which is a powerful scene. Obviously this comes out at an interesting time in society and politics, and in the show we do have a few references to real-world issues like the Black Lives Matter movement, and we hear the phrase 'fake news'. Is it important to you and the writers to have that voice? Yeah. I think any artist wants to do more with their art than just entertain, and most of the time we are just entertaining, we're escapism for people. But those rare moments where you can do something that means something, those moments that spark debate, that educate and illuminate things, that's what we really live for. I'm just really thankful that, because we're at a time when things are going on socially and politically, people are thirsting for that. 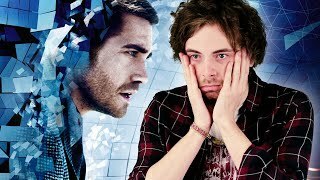 I think people have kind of been shocked by the state of the world, because of what's happened politically over the last couple of years they've been like 'oh wait, I thought we were a lot farther along, I thought we were a lot more evolved', and people are realising we've got a lot of work to do. So I think they're thirsting for that, and for more authenticity now, and it's a perfect time for our show. When I auditioned for the show, and I was in my final callback, that was one of the things Mara Brock Akil said, and it appears to be true. Yeah. And it's been nine years since Black Lightning retired, which would mean he got out of the game around the time Obama became president, and now obviously he's back as Trump's in charge in the real world. Was that deliberate or just a coincidence? [Laughs] Ah that's funny, I didn't even think of it, that's amazing. Yeah, it's like he's come out and he's more needed, right? Like things are really bad and he's got no choice but to get back out there. Haha. So we've got Black Lightning now, Black Panther comes out next month, and we had Luke Cage on Netflix not so long ago, which comes after years without much diversity in these stories, at least from a lead hero point of view. Do you think that change is really starting to take hold now? I really hope so. I think success is what's going to be our ally. I told our cast as we were filming this, we've got to do this right. Because if we do this right, it makes it that much easier for the person who's behind us trying to get their story told. But if we mess up then the door's going to close, and it's that much harder for that next person to open it. So I hope so. Luke Cage did really well, it looks like we're gonna do well, and it looks like Black Panther's going to be phenomenal, so I think that will help. But I also hope that it attracts people to not just tell African-American stories, but Hispanic stories, Latin American stories, Asian stories, and that diversity becomes wider, because I really hope there's a day where we look around and every child and adult can see a representation of themselves on-screen. Yeah, I agree, and hope there's a day when we don't have to ask this question, but obviously we're not quite there yet. But also, you spoke earlier about the number of superhero stories that are on screen now, so what for you makes Black Lightning stand out? Well, I think we take the superhero genre and kind of evolve it to the next level. We set it somewhere that's a little more real, and take it to a neighbourhood. Most superhero stories are about saving the world, and it's alien invasions and these huge macro problems, but we take it down to the micro, and I think that's rare. On top of that it's a family drama, with superpowers sprinkled on top. Usually superheroes don't have such human ties; they're often single, and they may have a love interest but that's about it. Here's a superhero who has two daughters, and an ex-wife he's still in love with, that he's trying to keep together. And then he's older, he's not beginning his superhero days, he's done that and put it away, and then he's forced to pick it up back. And it's all done in the climate of real issues, like gun violence, drugs coming into a community, police brutality and corruption, and I don't think there's anything else out there that's telling that story. I think with any genre, when something becomes a legitimate popular genre, it can only survive if it evolves. If it stays the same it's just going to die, so I think we're the next evolution. Yeah, that's interesting, especially the mention of community, as one of the shows it really reminded me of in that regard was The Wire, but with superheroes. Oh that's awesome. The Wire's one of my favourite series of all time, and there are some definite aspects of The Wire in our show, so that's awesome, thank you.